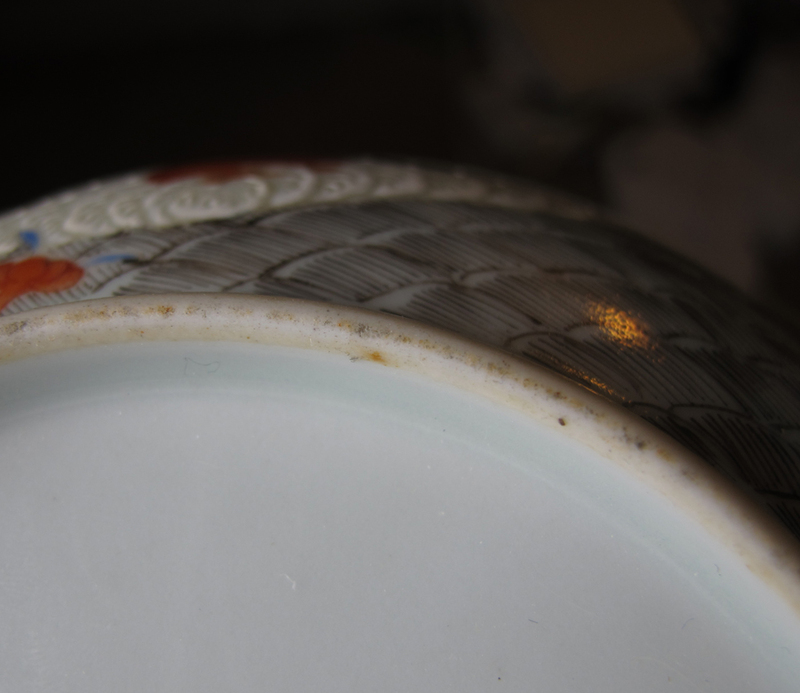 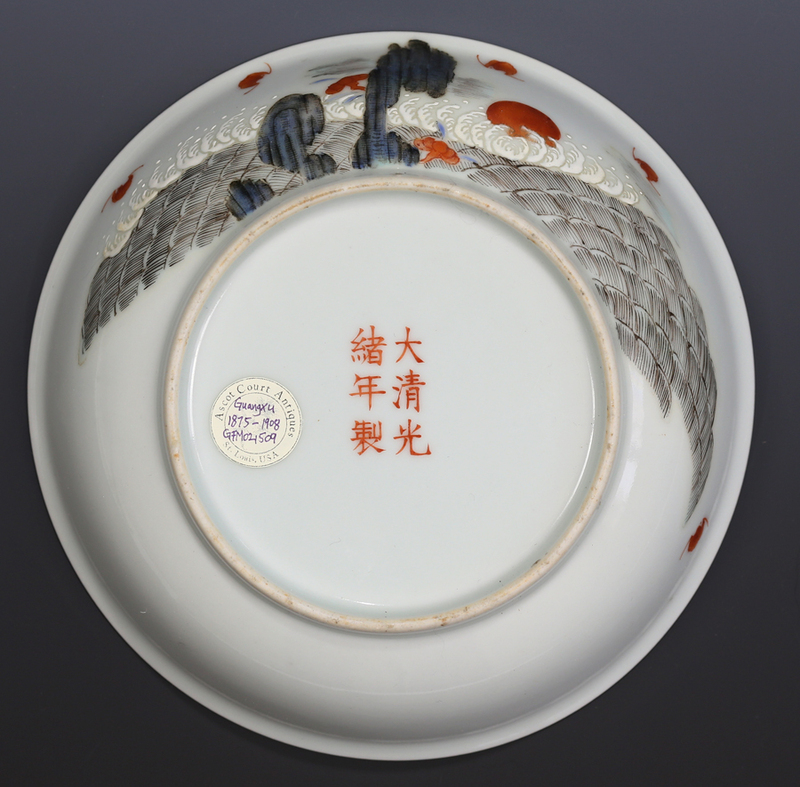 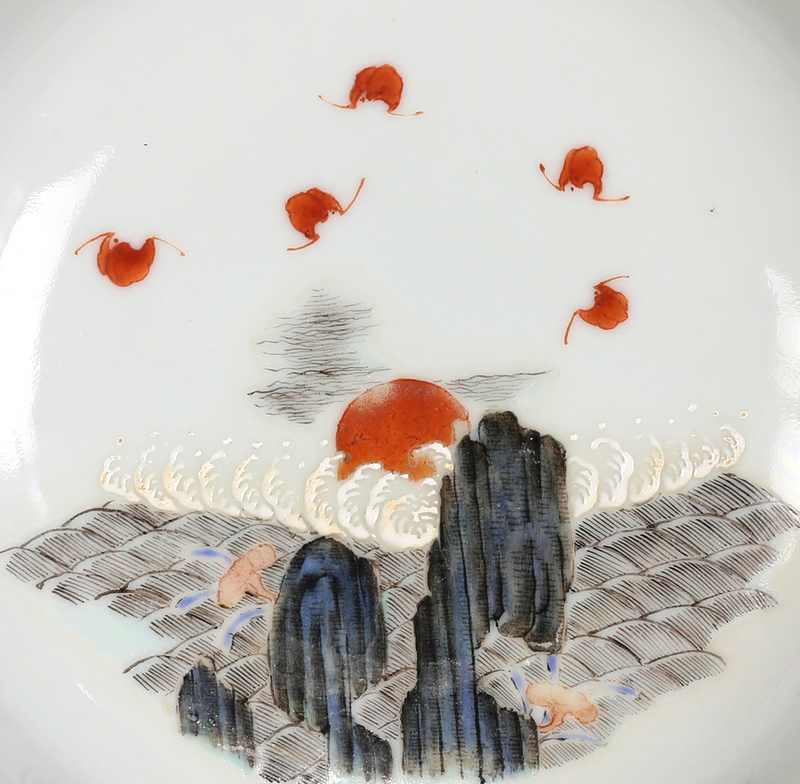 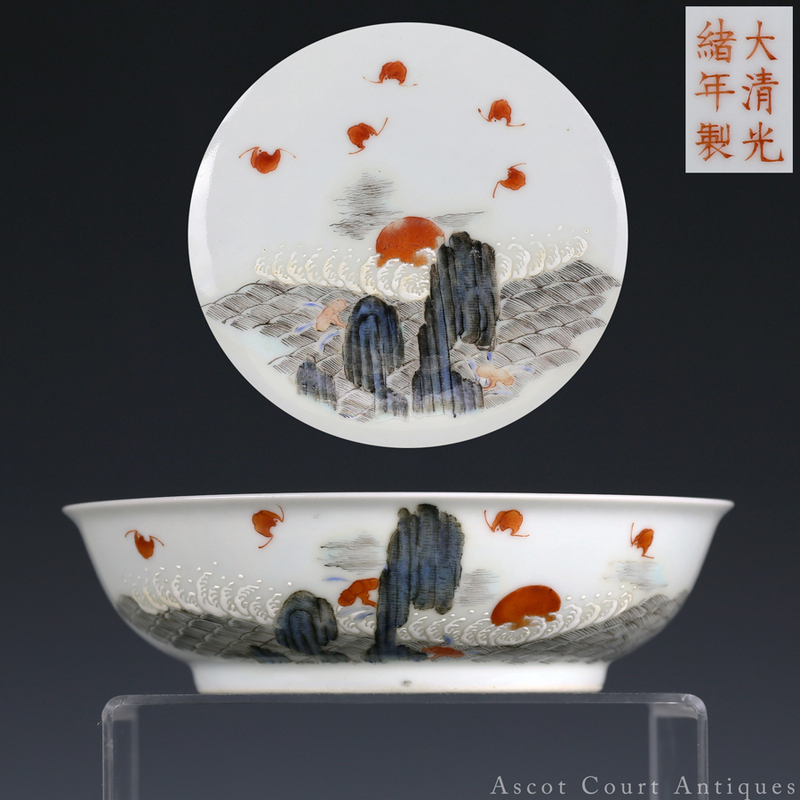 A 19th c Guangxu imperial dish, marked with a 6-character Guangxu kaishu mark in iron red and of the period. 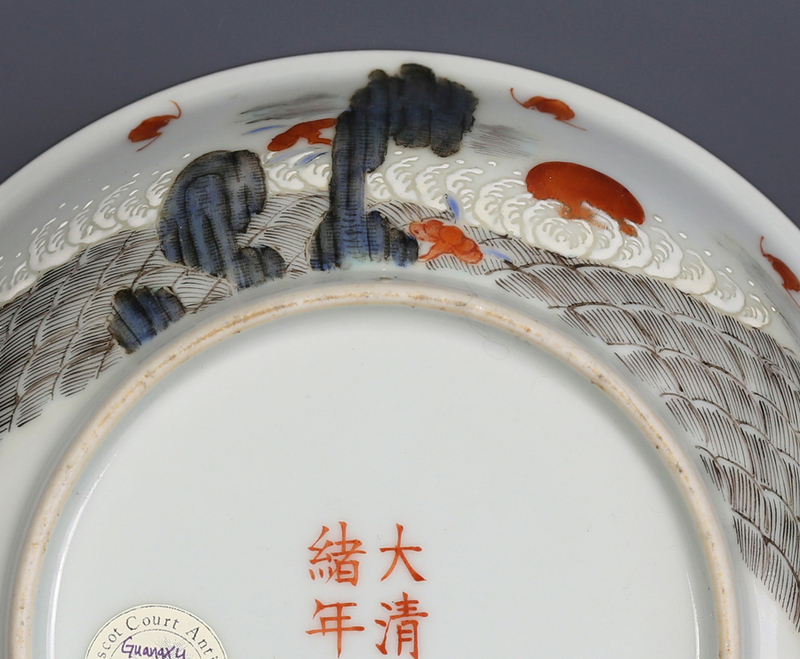 Beautifully formed with rounded sides and an everted rim, this dish descends from a long line of “birthday’ dishes in the imperial tradition featuring the theme “fushan shouhai”. 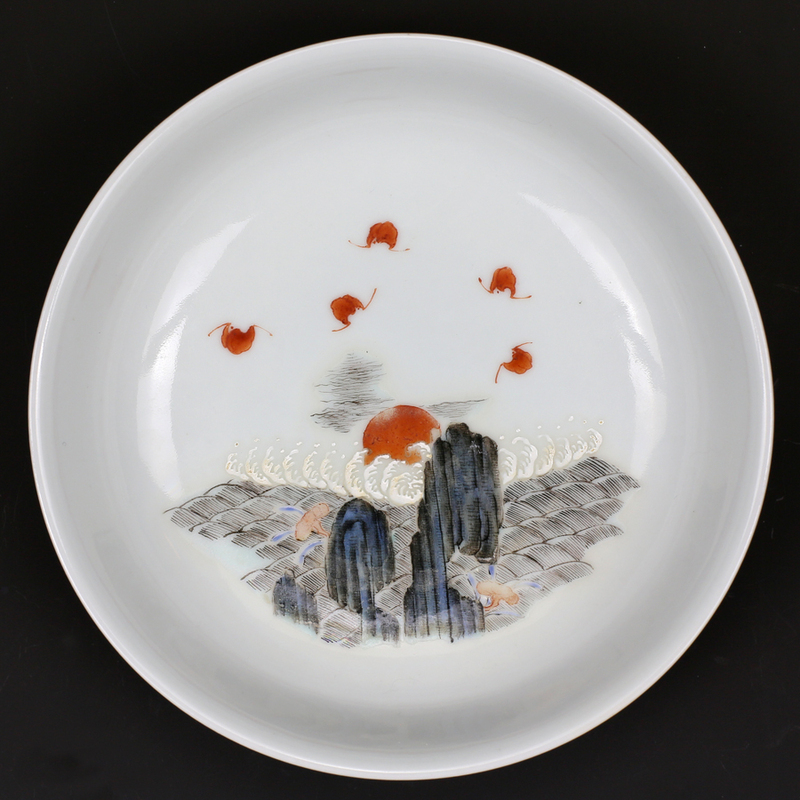 The combined imagery of bats flying over mountains and ocean conveys the message: “May your happiness be as deep as the Eastern Sea, and may you live to be as old as the Southern Mountains”.